FX’s series “The Americans,” about Soviet spies in the United States, takes place during the end of the Cold War. Unfortunately for the network, the early 1980s don’t engender the same sort of nostalgia that, say, the 1950s or the 1960s do. All the same, FX and LeadDog Marketing Group used a historical-focused hook—not to mention a submarine—to help promote the show’s premiere. Using an impressively accurate 110-foot replica of a Soviet nuclear submarine from the early ‘80s, FX staged an “invasion” of Los Angeles. 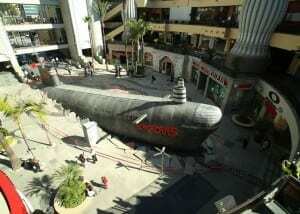 The submarine, which took 42 people 36 hours to build, was positioned so that it appeared to have surfaced through the courtyard of a busy shopping mall. Russian-speaking actors wearing authentic uniforms drove about in Soviet military vehicles and performed military drills as a helicopter hovered overhead. Representatives from more than 50 national and local media outlets were invited to the site for an exclusive Q&A with “The Americans” producer Graham Yost and, in keeping with the Russian theme, were treated to caviar and vodka tastings afterward. VIPs were shuttled to and from the event via a 1981 Soviet limo. 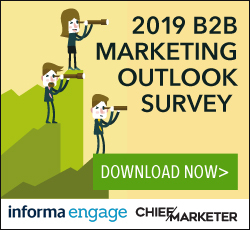 The promotion garnered more than 22 million media impressions, exceeding goal four times over, and generated more than 882,000 social media impressions. The debut of “The Americans” was the highest-rated series premiere in FX history, with 5.11 million viewers—a figure that we’re sure didn’t have anyone at the network seeing red.